Home The NewsMill Dialogue with all stakeholders can solve J&K crisis: Azad. Dialogue with all stakeholders can solve J&K crisis: Azad. 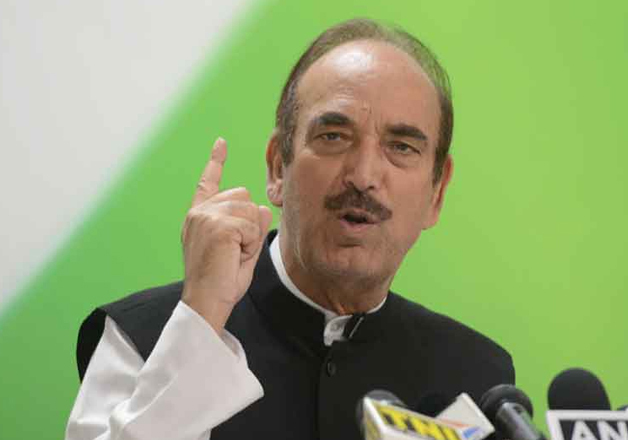 Former chief minister and Leader of Opposition Ghulam Nabi Azad on Thursday said that dialogue with all stakeholders can solve the crisis in Jammu and Kashmir while the Article 370 will stay in the state and the Congress party will review Armed Forces Special Powers Act in the state. “We will appointment three interlocutors from the civil society and we also have previous report on Jammu and Kashmir submitted by the interlocutors appointed earlier,” Mr Azad here told reporters at a press conference before releasing the manifesto. Previous articleMehbooba, Amit Shah lying to people about AFSPA: Omar. Next articleAbdullahs eroded J&K’s autonomy: Sajad Lone.